The National Association of Software and Services Companies (NASSCOM) has concluded a session of productive bilateral talks with dignitaries of Guizhou Province, China. 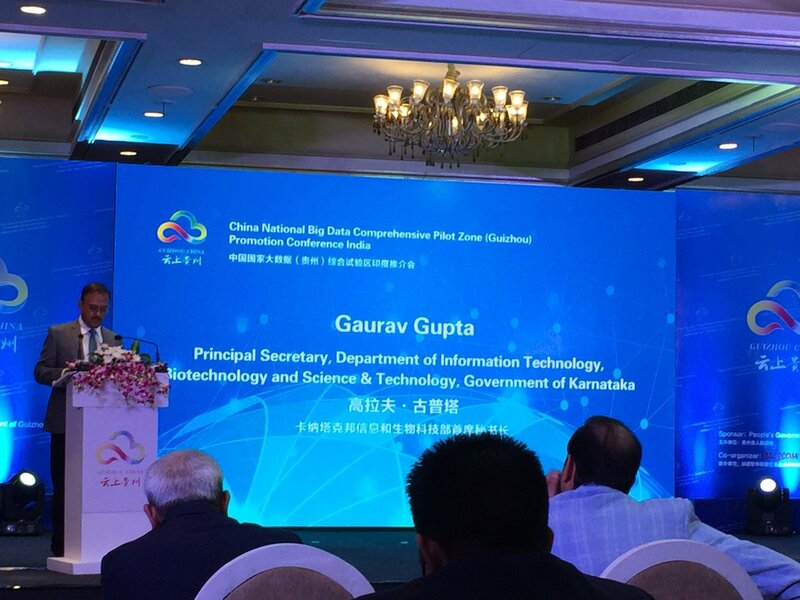 As Guizhou emerges as the centrepiece of China’s IoT and Big Data initiatives, the Chinese delegation today introduced the Guizhou National Big Data Comprehensive Pilot Zone to the Indian IT ecosystem. Participating in the discussions were Sun Zhigang, Governor, Guizhou Province; Gaurav Gupta, Principal Secretary, IT Department, Government of Karnataka; Ma Ningyu, Director, Big Data Bureau, Guizhou Province; and Gagan Sabarwal, Director, Global Trade Development, NASSCOM. The conversation centered on data as a currency and the advantages and prospects for big data development the region presents between NASSCOM member companies and Guizhou’s state-owned companies.Housing the core data centers belonging to Huawei, Tencent, Foxconn, and Alibaba and China Mobile, it is estimated that by 2025, there will be 3 million servers in Guizhou. Building on the momentum of the MoU on the Big Data initiative signed between both parties in February 2017, today’s dialogue fortified cooperation in the IT sector between the two neighboring countries. In recent years, NASSCOM has been relentlessly working on global communication and cooperation in big data and high-tech fields, with an emphasis on Guizhou, an emerging area of big data development. A hub for China’s green data centers, Guizhou is a growth spot which has gained President Xi Jinping’s vote of confidence, having ranked the top in terms of GDP growth among China’s provinces six consecutive years in a row. Guizhou and Bangalore have similar high-tech capabilities, the former an accelerating cluster for big data industrial development and a technology innovation, while the latter is a leading software development and high-tech hub. The production and convergence of data in Guizhou overlays big data enterprises and powers cloud chain services, information networks, long-distance freight, public transport, cab aggregation and customization, and e-medicine, among others.